Sydney was isolated from Newcastle and the Hunter valley to the north till 1836 when a convict built trail was completed linking the two cities. We visit the start of this road at Drummoyne and examine where it headed north across the Parramatta River. Visiting special sites in Sydney of one of the earliest and most important roads. 10.30am Visit the commencement of the Great North Road at Parramatta Road, Five Dock, parking nearby at Waterview Street Car Park. Walk the original roadway alignment to the corner with Lyons Road to visit the memorial to the 5,000 convicts who built the road by hand. 1.00pm Meet opposite Banjo Paterson Restaurant at the end of Punt Road. 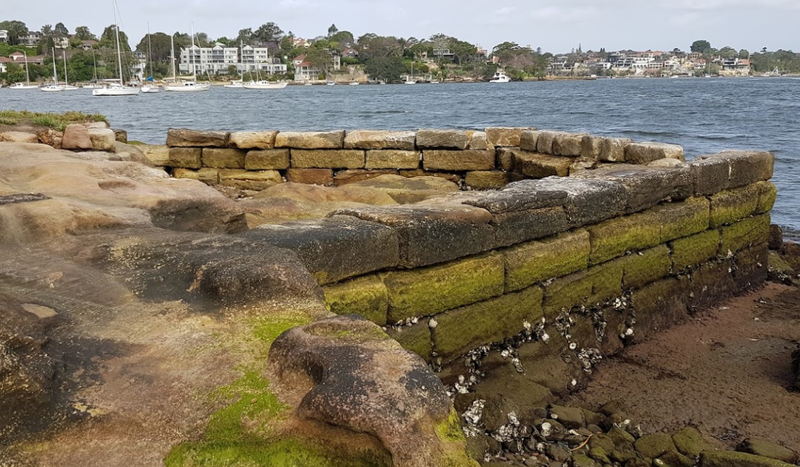 1.30pm Special visit to Bedlam Point during low tide to examine convict built ruins of the original punt wharf. Plenty of parking at nearby Waterview Street Car park or in nearby streets.